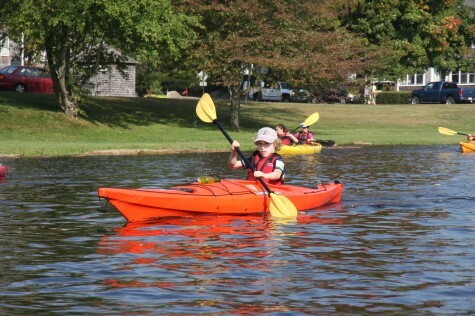 Kayaking is a wonderful way for your child to explore the outdoors. Our children’s programs are designed to get kids excited about kayaking while practicing teamwork and learning about the environment. Of course our primary focus on our children’s programs is fun! We offer a number of classes to get them and the whole family out on the water! Here is a link. 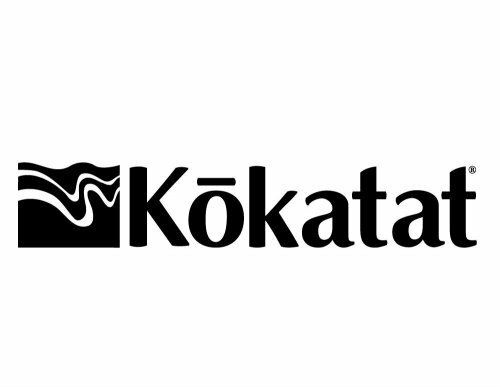 A great way to get kids into kayaking and the outdoors. 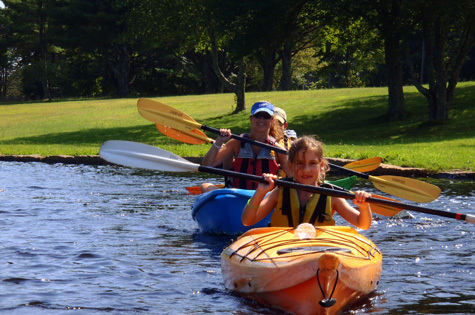 Our kids class is a great way to introduce your child to the sport of kayaking. Designed with fun and water safety as primary goals, we teach students through a variety of games and exploration. 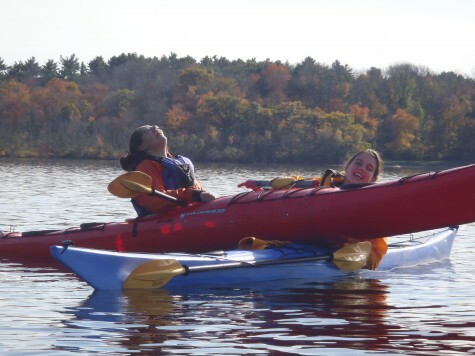 Our experienced, certified instructors teach basic strokes, how to get in and get out of the kayak safely, and what to do when you capsize. All beginning classes are taught in quiet, age appropriate environments. We use open deck kayaks on the Kids 1 course and traditional sit in style kayaks for Kids 2 classes. Get your own group of 4 or more and we can schedule a class on upon request. Introduce the whole family to kayaking. Family fun lessons are a great adventure for all; grandparents, mom, dad, kids, the whole family. 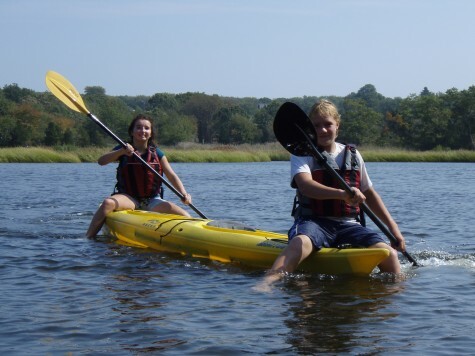 We’ll explore the protected tidal rivers and marshes of the Westport River in stable single and double kayaks. We travel at a relaxed pace allowing plenty of time to learn basic strokes, rescues, and play lots of games. For children 8 years old and up. Children 10 and under paddle in a double kayak with a parent. Keep your kids moving & having fun with our Summer Paddlesports Programs. Kayaking & Stand up paddling will help improve your child’s balance, confidence, and awareness of their natural environments all while having a ton of fun. Our experienced instructors teach kayaking and SUP skills & safety through a variety of games, group activities, and exploration all presented in a way that’s appealing to their age group and skill level. We make it easy so they come away feeling empowered and successful their first day! Please contact the Dartmouth Department of Parks and Recreation to enroll. More information can be found on the DPR web site.